Boggy Creek – Roads Inc. 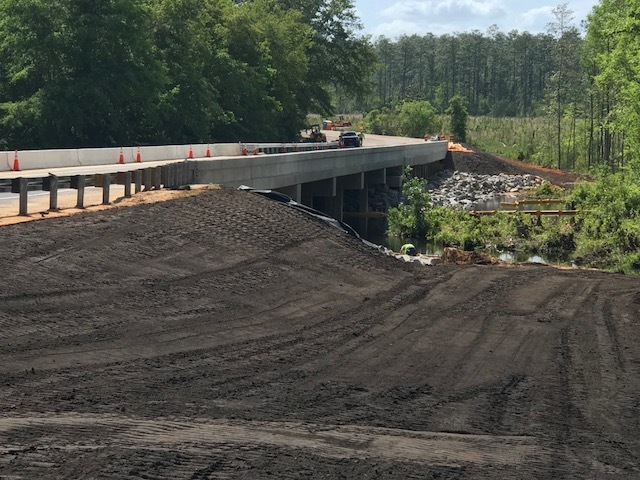 The project consists of the replacement of a structurally deficient bridge on CR 97A over Boggy Creek northwest of Cantonment, in Escambia County, FL. The existing bridge, built in 1969, was replaced with a new, modern structure with 12-foot travel lanes, 8-foot shoulders and solid concrete barrier railing. 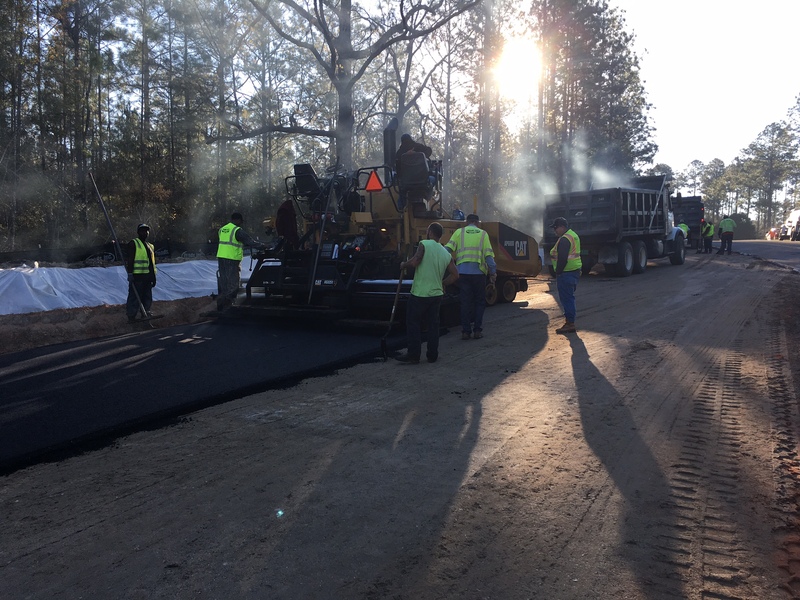 Roads, Inc of NWF was a sub-contractor to Murphree Bridge Corporation for this project. 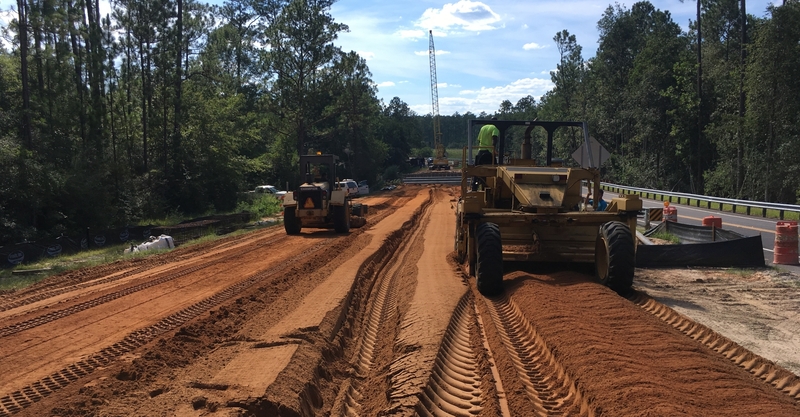 As a sub-contractor, Roads, Inc of NWF initially performed earthwork and asphalt paving operations for the construction of a FDOT standard temporary detour bridge and roadway diversion. Upon completion of the construction of the temporary detour bridge and roadway diversion, the existing bridge over Boggy Creek was demolished and re-constructed by Murphree Bridge Corporation. Once construction of the new bridge over Boggy Creek was completed, Roads, Inc of NWF crew’s performed earthwork operations, stormwater conveyance system installation, asphalt paving, and asphalt milling and resurfacing operations as required to complete the construction of the new Bridge Over Boggy Creek.